When your company has a job to fill or when you’re considering promoting or reassigning employees from within, a background check is often a requirement. Employment background checks can assist you in making a final decision among a narrowed-down group of applicants or candidates by verifying that the candidate meets established job-related criteria. Employment background checks are also known as consumer reports, and can include information from a variety of sources, including credit reports and criminal records. When you use consumer reports obtained through a third party company for employment decisions, you have an obligation to comply with the Fair Credit Reporting Act (FCRA). 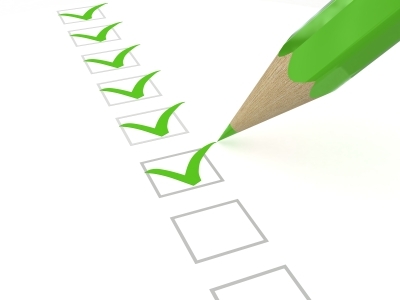 The question is: Are you meeting your FCRA obligations? Is your background screening company meeting theirs? In the end, an FCRA violation – whether by you or your provider — will reflect poorly on your organization and can result in violations with the FTC, CFPB, and even private parties who may bring legal action against you. (A) You must tell the applicant or employee that you might use information in their consumer report for decisions related to their employment. (B) You can simply pull the employee’s information from their job application and order the background check from your provider. (C) You must obtain written permission from the applicant or employee. (D) You must certify compliance to the company from which you are getting the background check information. (E) You should do your own search on Facebook and Google to see what you can find out about the candidate, since you may be able to disqualify them without going through the expense of the background check. ANSWERS: A, C, and D. You must let the applicant or employee know that you might use information in their background check for decisions related to their employment. What’s more, this notice must be in writing and in stand-alone format. It cannot be provided as part of the employment application. And while you can include some minor information in the notice, this must not detract from the notice or confuse the individual. Obtaining the written consent of the employee or applicant can take place as part of the document you use to notify the individual. In terms of certifying compliance, your background screening provider needs to know that you’ve notified the candidate and received their permission, that you’ve complied with all FCRA requirements, and that you will not discriminate against the candidate or otherwise misuse the information. P.S. (E) should obviously be avoided! Here’s why. (A) You should quickly hire the next best candidate. (B) You must provide a pre adverse action notice that includes a copy of the consumer report you relied on to make your decision. (C) You should send a quick email letting them know they didn’t get the job. ANSWERS: B and D. The goal of notifying a candidate in advance of taking adverse action is to give the individual a chance to review the report for accuracy and provide any explanation that may explain the information it contains. (A) You should stop accepting phone calls and email from the candidate. (B) You should shred any and all documents associated with the background check. (C) You must give the individual a notice — orally, in writing, or electronically — that tells the applicant or employee about their rights to see information being reported about them and to correct inaccurate information. ANSWER: C. And the notice must include the name, address, and phone number of the Consumer Reporting Agency that supplied the report; a statement that the company that supplied the report did not make the decision to take the unfavorable action and can’t give specific reasons for it; a notice of the person’s right to dispute the accuracy or completeness of any information the consumer reporting company furnished; and a statement the applicant/employee has the right to request a free report from the company if the request is made within 60 days. True or False: Employers who use reports based on personal interviews concerning a person’s character, general reputation, personal characteristics, and lifestyle have additional obligations under FCRA. True: These so called “investigative reports” require written notice that you may request or have requested an investigative consumer report, and require a statement that the person has a right to request additional disclosures and a summary of the scope and substance of the report. True or False: When you’re finished using a consumer report you must securely dispose of the report and any information you gathered from it. True: Burning, pulverizing, or shredding paper documents and disposing of electronic information so that it can’t be read or reconstructed are the FTC’s suggested ways of meeting this requirement. To learn more about disposing of consumer report information, click here. For more details on regulation and legislation impacting corporate employment background screening programs, attend our “Triple Threat” webinar series hosted by Vince Pascarella, Esq., SPHR, FCRAA, Vice President, Proforma Screening Solutions. Vince will discuss the triple threat of EEOC and FTC regulation, state and federal legislation, and private party litigation in the context of corporate employment background screening programs. This program has been approved for 2.25 (General) recertification credit hours toward PHR, SPHR, and GPHR recertification through the HR Certification Institute – 1.25 credit hours for Part 1 and 1 credit hour for Part 2. To learn more about FCRA visit the FTC’s Business Center: Your Link to the Law.